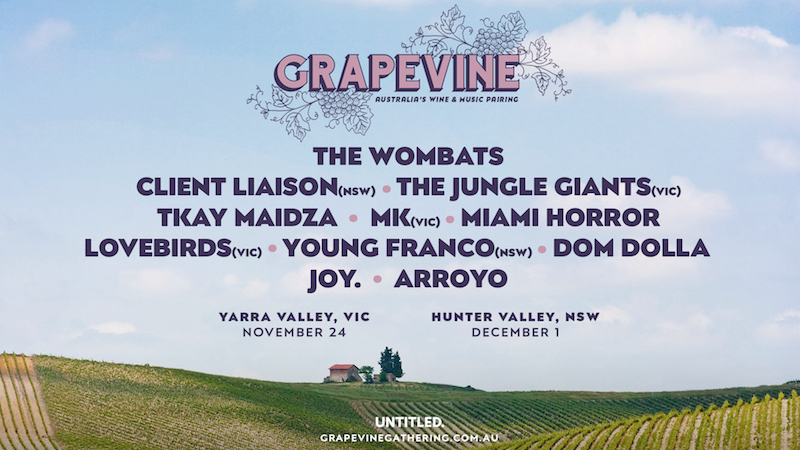 Grapevine Announce 2018 Wine-up! The Wombats, Client Liaison, The Jungle Giants, Tkay Maidza, MK, Miami Horror, Lovebirds, Dom Dolla, Young Franco, Joy and Arroyo! We’ll be sad if you chianti make it, so don’t be a goon, get in fast as this vintage is sure to sell out again! *Tickets on sale 12pm, AEST Wednesday July 25th.